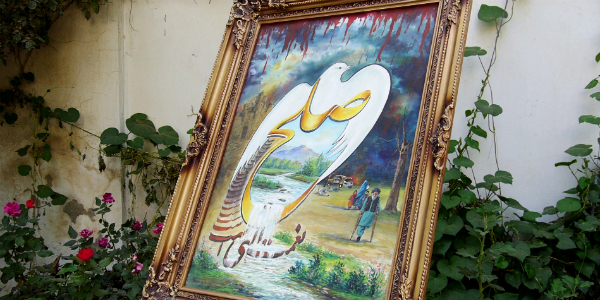 At least 20 artists from Herat, Daikundi and Jawzjan provinces took part in a two-day exhibition in Kabul in the hope of promotingpeace and tolerance. Organizers of the event said photographers, painters and calligraphers brought 100 works of art with them to the exhibition. The exhibition was held over two days and ended on Monday. Chief Executive Abdullah Abdullah met with the artists and promised them he would see to it that the Herat theater was restored. The artists said they are working to change people’s minds about war, violence and conflict through their art. Azimudin Assadi, one of the artists, said he was a member of the Afghan National Civil Order Police and took up calligraphy about 10 years ago. He said he will focus on promoting peace and tolerance among Afghans who he believes have suffered badly because of the ongoing war. One of Assad’s artworks pays tribute to victims of a deadly suicide attack in Kabul. This was a twin-bombing in May that killed more than a dozen people, including 10 media workers. 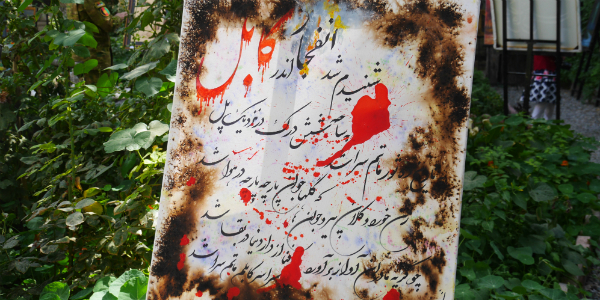 “This painting is about the deadly attack in Kabul which martyred journalists,” said Assadi. Some of the participating artists also put on a show about a man who had lost a family member in an attack but still hoped for peace. In Kabul city, where security threats are high, people rarely participate at events in crowded areas. However, this week’s exhibition, “On the Way to Fly” drew an impressive crowd. “I want to bring a smile to the faces of people through my paintings,” Noor said. Seeing people’s responses, one organizer of the event said they will continue their efforts to hold more cultural events aimed at passing on happiness to the people. The exhibition was organized by the Afghanistan National Gallery and the Garden of Peace, a cultural organization in Kabul. Actors at the exhibition said they performed at the event in the hope of achieving lasting peace in Afghanistan.